Ontario Professional Planners Institute (OPPI) values and respects the privacy of our Members including security of your personal data. We agree to use such information for the purpose collected. This applies to both on and offline information that is collected and used in the course of our activities. Ontario Professional Planners Institute strives to comply with Canada’s Personal Information Protection and Electronic Documents Act. The Act – commonly referred to as the CSA Code – includes, with some modification, the principles set out in the National Standard of Canada Model Code for the Protection of Personal Information, CAN/CSA-Q830-96. The ten overarching principles include Accountability; Identification of Purposes; Consent; Limiting Collection; Limiting Use, Disclosure and Retention; Accuracy; Safeguards; Openness; Individual Access; and Challenging Compliance. You may not create a link to this website from another website or document without OPPI’s prior written consent. Your use of this website and any dispute arising out of such use of the website is subject to the laws of Canada and Ontario. Data is collected annually during the membership application and renewal process. Members can use the web site, email, phone and fax to update their information. Reminders to keep information accurate are included in email broadcast messages and other member communications. Members and non-member data is primarily stored on the Association Management System (AMS) database which is housed offsite with a service provider. This database is used for member mailings, third party mailings (Labels are not sold to third parties. OPPI sends third party material in it’s mailings. ), broadcast email to whole or subsets of the data base, research surveys, management of professional standards and as deemed appropriate by management staff for other organizational business. Members who wish to promote their practice to the public through the online Consultant Directory complete a separate survey identifying which data they wished displayed on the OPPI public web site. Consent is given upon the completion of the membership application and membership renewal. Opt-out consent is provided for third party mailings and for broadcast emails. Express consent is provided for sensitive data collected for e-commerce activity or other activity that was not originally defined in the process. Additional data is collected when user voluntarily elect to submit content for the Planning Exchange blog. This information is limited to data required to process and publish the blog article. Security safeguards, such as limited access, password protection, encoding and OPPI policies and procedures protect personal information. Members may change their web site password at any time. The OPPI Registrar maintains a register in which are all the names of members of the Institute in good standing and each member’s class of membership. The register is open to examination by the public on the OPPI public web site. OPPI does not provide a member’s personal contact information to the general public. Member email or mailing addresses will not be sold or provided to any outside parties. Our Find a Member and Consultants Directory databases have been designed to prevent individuals from easily stripping these online tools for member contact information in order to develop commercial mailing lists. OPPI does provide mailing services to third parties such as OPPI suppliers and industry. These parties wish to promote special events, inform members of new products and resources. OPPI reviews all materials distributed by third parties prior to sending out a mailing to ensure these are of potential interest to members. 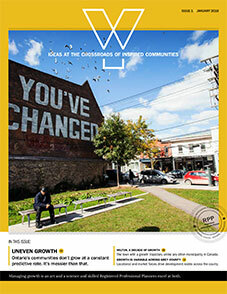 If you prefer not to receive these mailings, you may submit in writing to the Ontario Professional Planners Institute. The OPPI Members Only web site uses and Internet tool called a “session” cookie. Cookies are small bits of data that we send to your computer to improve your user experience. We use them to track that you have signed in so that you don’t have to continually enter your user name and password as you move around the site. This cookie is removed as soon as you log out or close your browser. Please click here to view our accessibility policy.